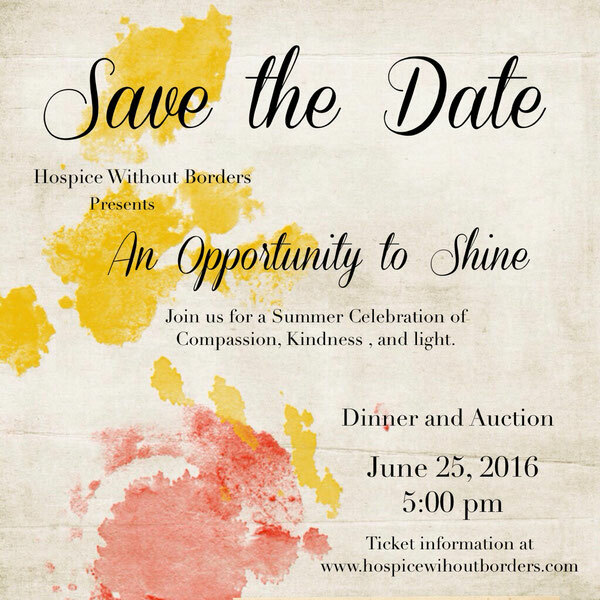 Hospice Without Borders is having it's first ever Gala event this June. Join us for a great evening of food and community, with a fun Live and Silent auction! Help support the work of this all volunteer organization! Tickets will be $65 per person, and will be held at beautiful Annie Wright School in Tacoma, WA. Ticket purchasing will be available soon. Please contact us at victrinia@hospicewithoutborders.com with any questions. People can save the world with the date of June. The instructions are much important to all the people to get different stories on these resources. Then we can save every document with the following instructions.